Want to keep your brain sharp? Playing bridge is like mental exercise. With each hand of this card game, you’re strengthening your memory and strategy power. Bridge is the ultimate mindsport. The bridge-playing community is large and wide-spread. In Santa Cruz, there's lots of groups, including the nearly 400 members of the Santa Cruz Bridge Center. Because bridge is a partnership game, you develop personal connections right away. Whether you are looking for competition or something relaxed, bridge is a great option. Learn the ultimate card game and discover your new passion. Need a plan for game night? Bridge is a game made for groups of people. All you need is a deck of cards and at least four players. Challenge your friends to something beyond the usual board game. 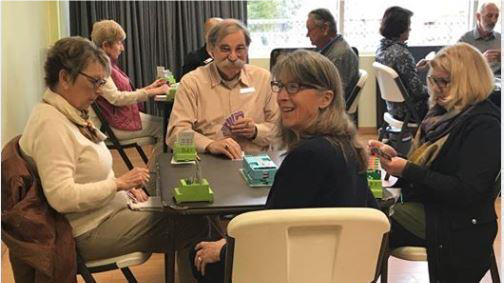 The Santa Cruz Bridge Center (SCBC) has many opportunities to learn and play with others who are just starting this great game. Check out the current schedule of classes at the SCBC. 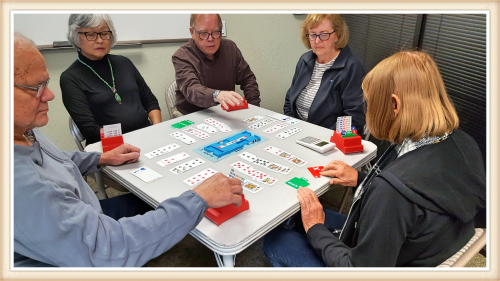 An Expert At Your Elbow session for players new to duplicate or relatively new to bridge is available every Friday morning at 10AM. A completely free "learn-as-you-play" web-based program. Includes a tutorial and handles player proficiency levels up to Intermediate. "Learn to play Bridge" proves a safe environment for players to test and learn new skills. Each screen provides tips for bidding and play. Bidding starts with the Intermediate Level. (Note: The detail explanation of some conventions are missing. You can get explanations for all the conventions used in this program from Resources listed below.) "Learn to play Bridge" may be accessed from any device with an internet connection. 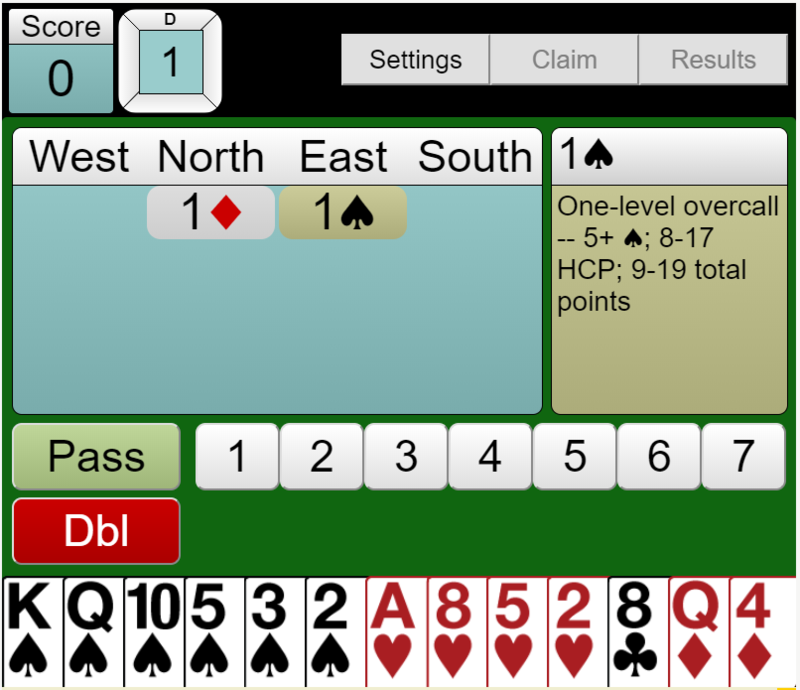 "Learn to play Bridge II" software for Windows is available as a free download from the ACBL site here. Learn to Play Bridge II is for those who know the basics but want to develop their playing, bidding and defense skills. The development was funded by the ACBL Educational Foundation and the ACBL. 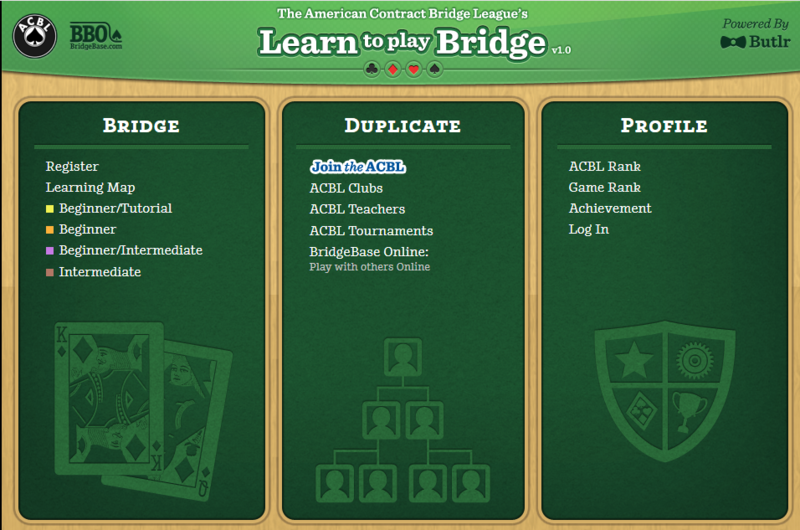 That fact that you can only make your contract by playing correctly makes Bridge Master a fabulous learning medium. In real bridge (and with other computer bridge programs), declarer's mistakes are often forgiven by imperfect defense or a lucky lie of the cards. 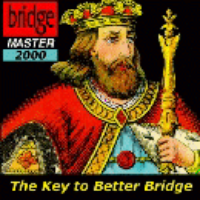 With Bridge Master your mistakes will always be punished. You are "forced" to figure out the correct play if you want to make your contract. In turn, you learn something about bridge in the process. If you play a Bridge Master deal incorrectly, it is best to keep trying again until you get it right. If you give up, however, the bridge movie will make the answer clear. As you read through the bridge movie, images on your screen will reflect the bridge content in the text. 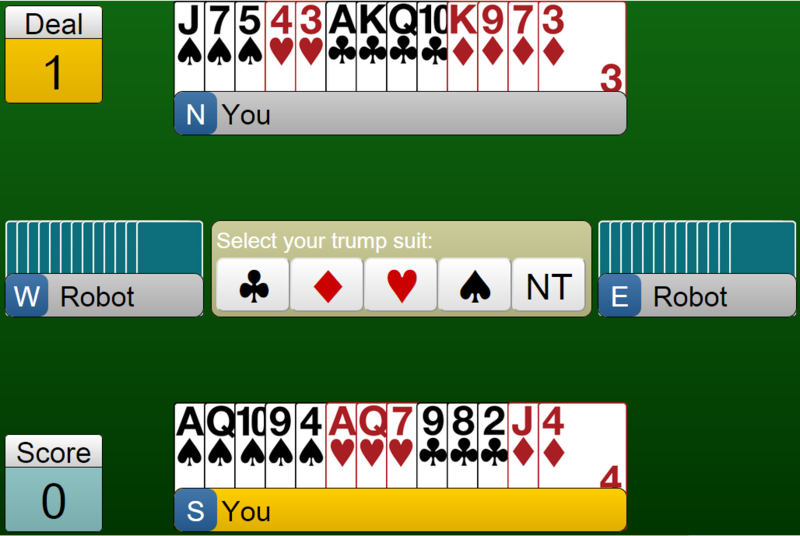 For example, if the text reads, "if trumps break 4-1...", a large hand diagram will display the 4-1 break. There is no need to cross out cards or write down end positions. The bridge movie always displays whatever bridge illustration you need in order to understand the explanation. This free, online form of the game allows you to select the trump suit, predict the number of tricks you can take and practice Declarer play. It's like bridge solitare. Bridge Base Online (BBO) is the most popular online site for playing and learning bridge. See the article below for more details about BBO. This is a no-frills, infinite stream of bridge hands on a free platform. As South, you are guaranteed to have the most high-card points of all hands. Play as many hands as you like, at your own pace! Looking for more serious practice? Create a free account now at BBO to play in social tables or challenge other players in duplicate tournaments.